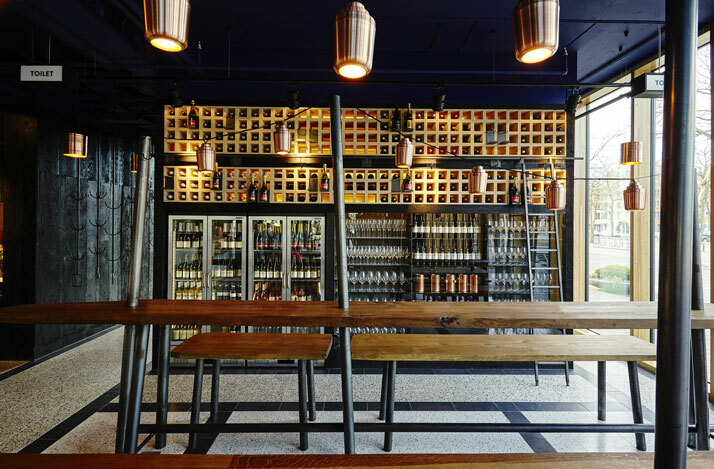 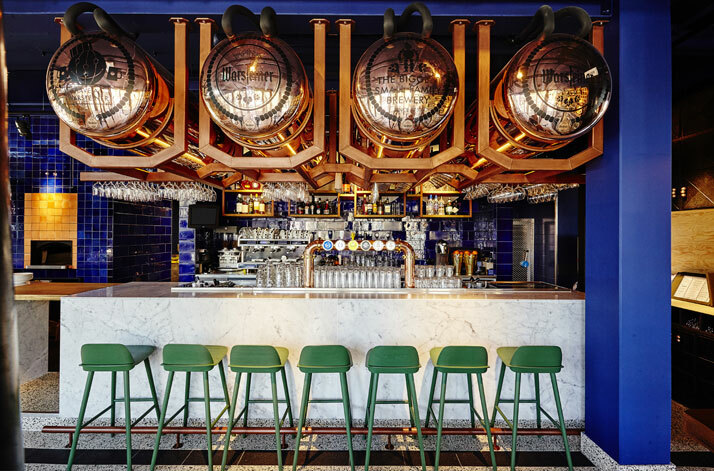 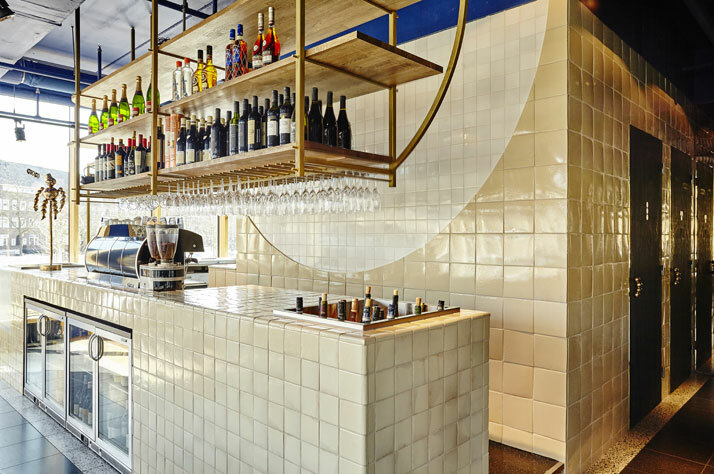 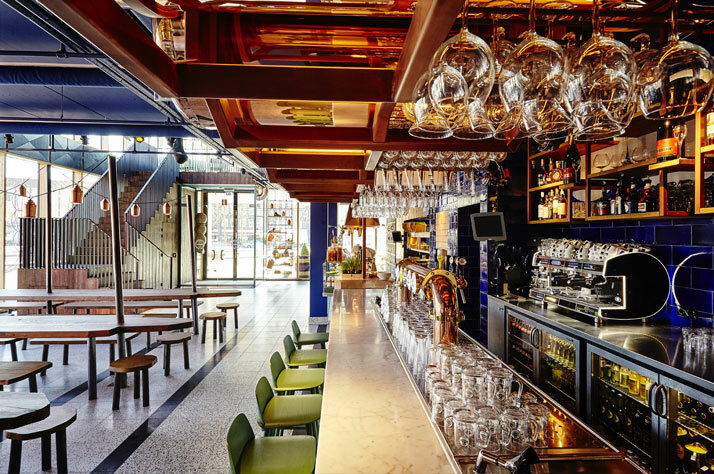 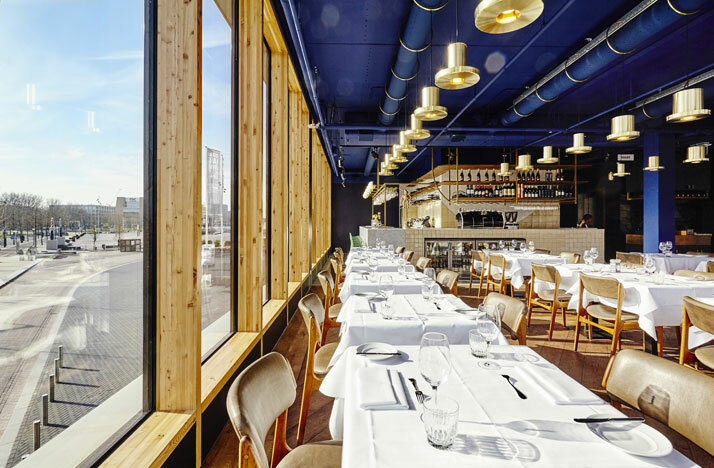 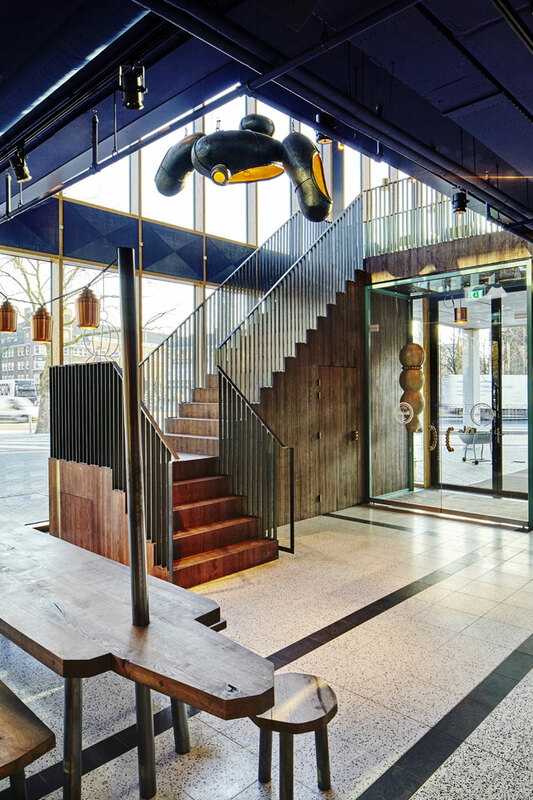 Dutch design practice Studio Modijefsky is the creative mind behind The Roast Room, an impressive new arrival on Amsterdam’s dining scene that specialises in meat. 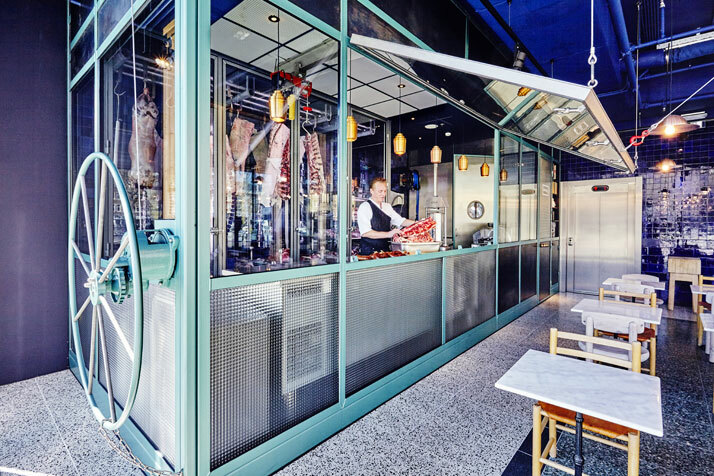 The latest project of Dutch chef Michiel Deenik, the restaurant spans two floors (a brasserie on the ground floor and a fine dining area on the mezzanine) and is equipped with every tool and contraption imaginable for preparing all kinds of meat, including its own little butcher’s corner featuring a rather theatrical wheel for opening and closing its front window. 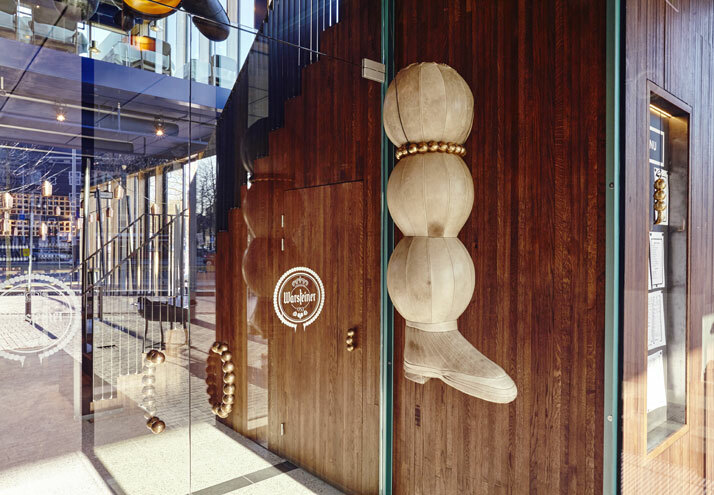 The Roast Room’s mascot, The Butcher, a plump figure with a long nose, appears in various forms around the space: in a drawing of him pasted on the front window, or as a shiny statue standing in the kitchen, while his chopped-off leg is the restaurant’s logo and can also be found hanging outside the main entrance. 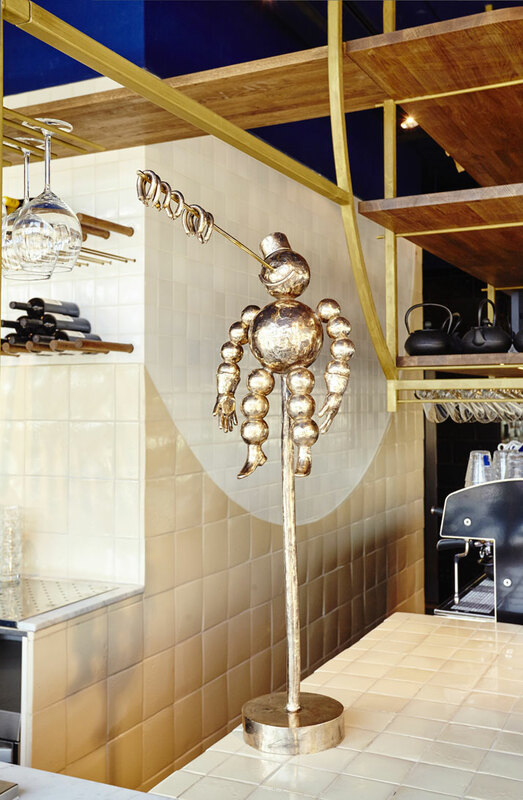 Other unique features include the bronze work which was custom-designed by Studio Molen especially, seen in details from the beaded door handles to the imposing black-and-gold Ginger Blimp chandelier. 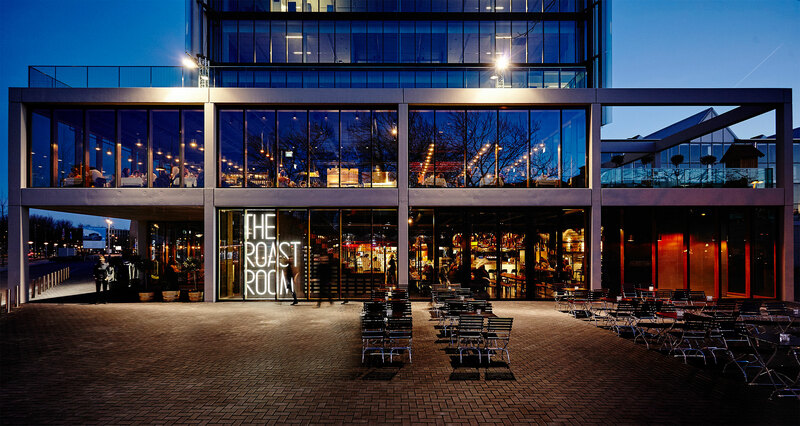 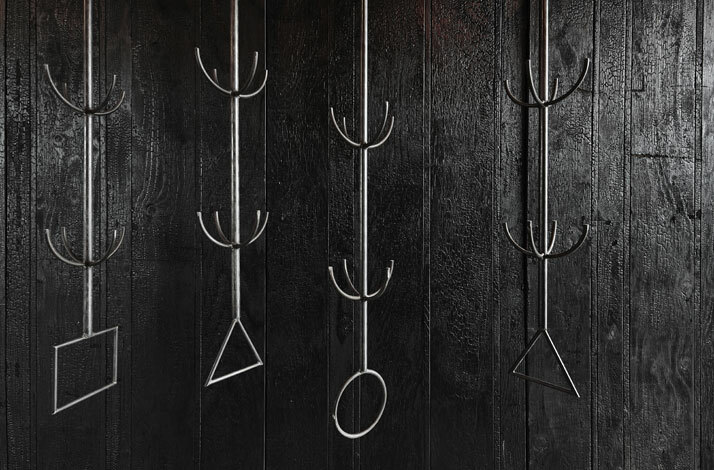 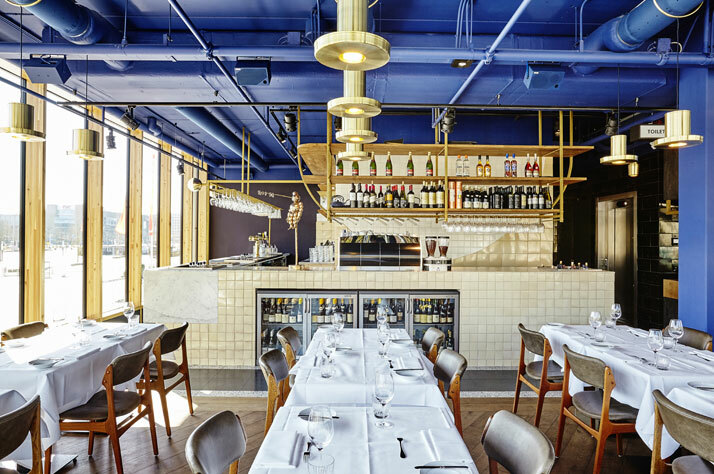 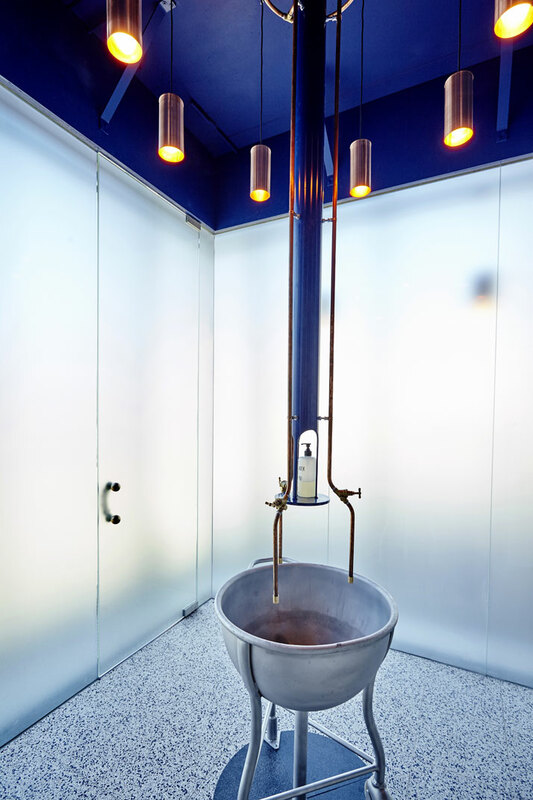 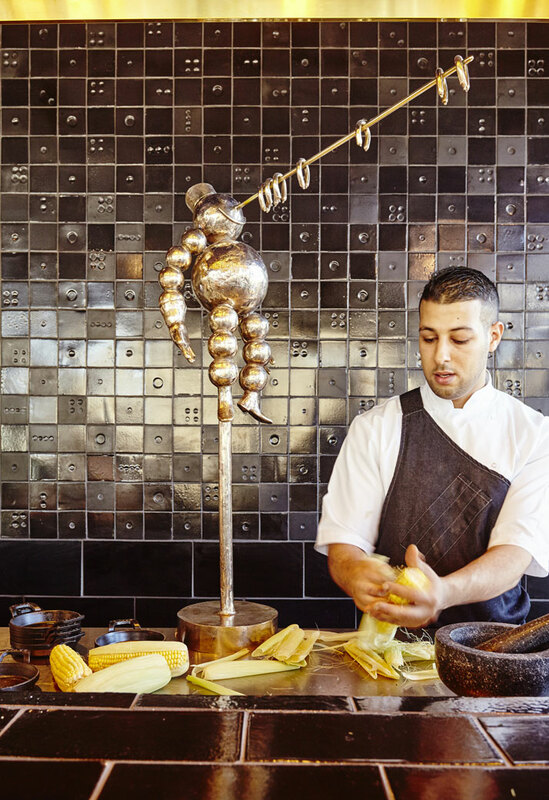 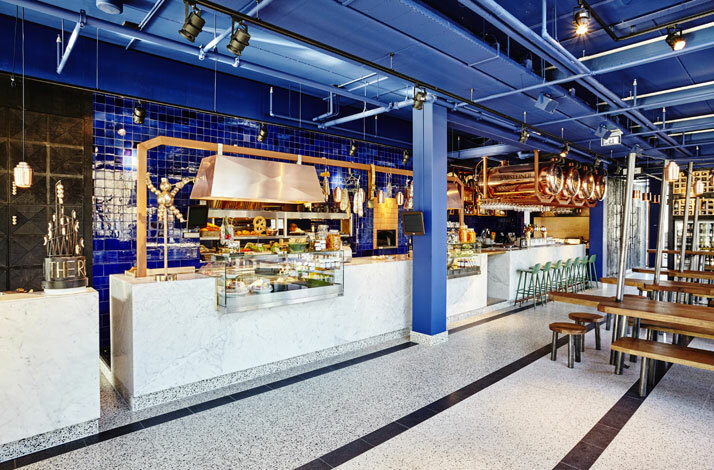 Ultimately, The Roast Room is a space where the art of the sculptor meets the art of the chef, resulting in a dialogue that imbues the space with an air of uniqueness and playful refinement. 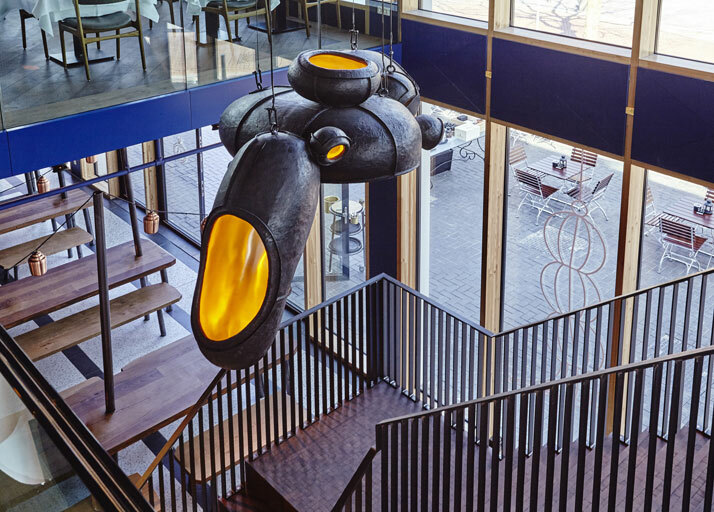 The Ginger Blimp chandelier by Studio Molen. 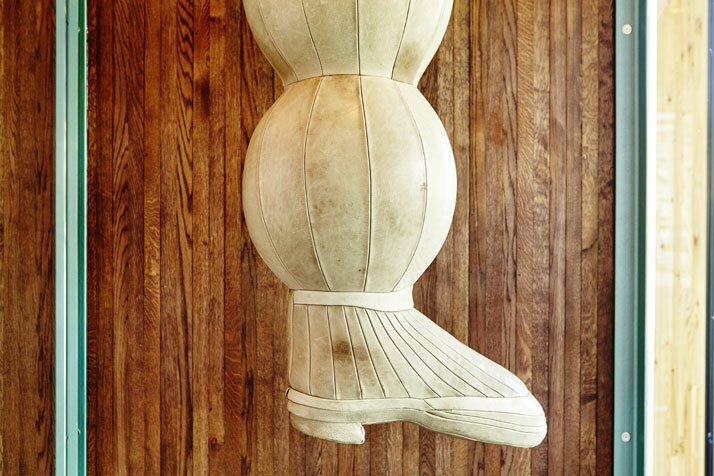 Photo © Maarten Willemstein. 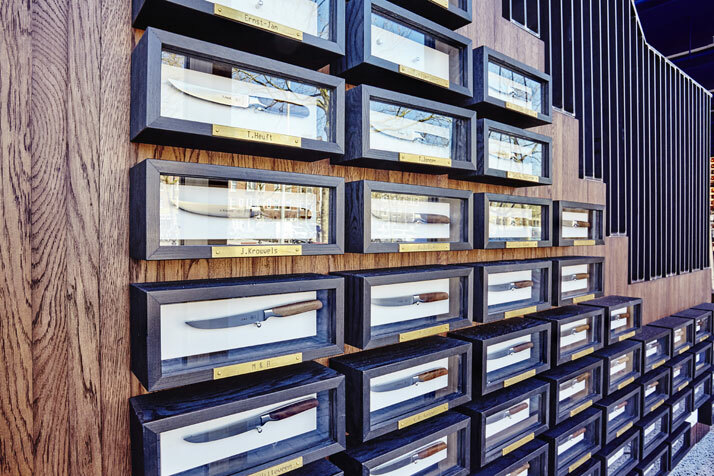 The Butcher statue. 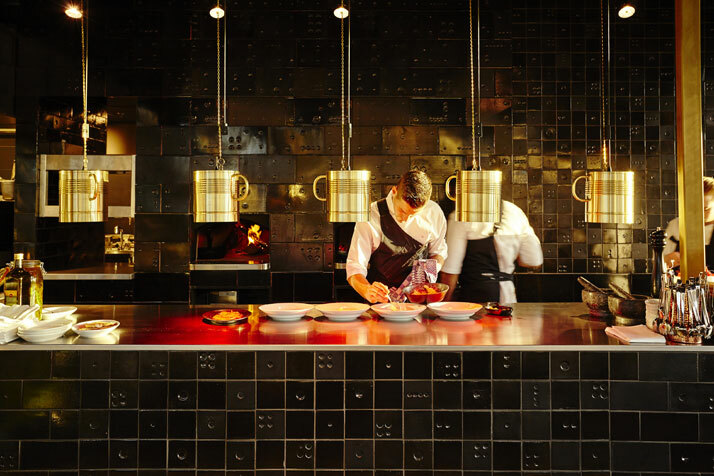 Photo © Maarten Willemstein.